Anderson County, South Carolina, is in the western part of the state, bordering Greenville County. 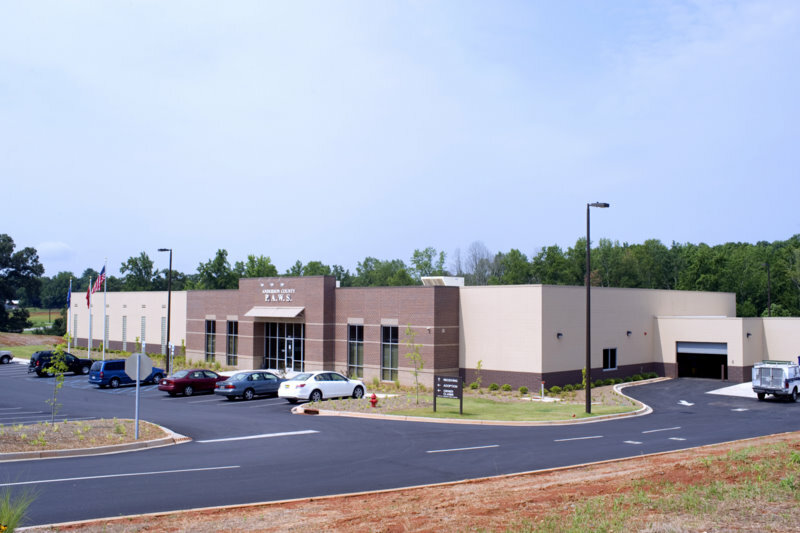 It is located on the I-85 corridor between Charlotte and Atlanta – a corridor that is expected to see major growth in the future and is already seeing progressive change. The county has about 200,000 people. Anderson County P.A.W.S. (Pets Are Worth Saving) is a government-run shelter that serves the entire county. Last fall some important changes were made in the operation of the shelter. Target Zero did a consultation. The county shelter was moved to the Public Works department following pressure from citizens about the quality of oversight. And veterinarian Kim Sanders was hired as interim director (later made permanent) in October. At that time, the live release rate at the shelter was 42%. I recently had the opportunity to interview Sanders, and she told me about some of the changes she has made to the shelter’s operations. The changes have been dramatically successful and the shelter’s live release rate is running at 92% so far in 2017. Sanders, before becoming director of the shelter, worked at the Anderson County Humane Society’s high-quality, high-volume, spay-neuter (HQHVSN) clinic. About seven years ago when the HQHVSN clinic was opened, intake at the county shelter was around 14,000 animals per year. By 2016, intake had plummeted to 7,311 animals. Sanders was therefore aware of the importance of spay-neuter when she started her new job as shelter director, and one of her first initiatives was to start sterilizing all cats and dogs before they left the shelter. That included community cats. With Target Zero’s help (including revision of a county ordinance), Anderson County P.A.W.S. started a Return-to-Field (RTF) program that sharply reduced the number of cats held at the shelter for adoption. Usually when a shelter starts an RTF program it must find a veterinarian or clinic that can sterilize all the cats. The Anderson County shelter did not have money appropriated for that, so Sanders does the surgeries herself. She did almost 300 such surgeries last month. The program is for healthy, apparently unowned cats found outdoors, and most of the cats they get go into the program. The shelter has a part-time person who picks the cats up in the afternoon after their surgeries and returns them to their territory. They have had a good deal of success in asking people who drop off cats if they will come back and get the cats themselves, and close to 60% agree. Owner surrenders, declawed cats, kittens, and highly adoptable cats are held for adoption. Sick and injured cats are treated. When I asked Sanders what one program had made the most difference in their turnaround, she named managed admission. The shelter requires an appointment for owner surrenders. Exceptions are made for injured animals, who are taken in immediately, and strays brought in by residents are also taken without appointment. The shelter accepts surrender of owned animals two days a week. Although there were a few complaints about the program at first, people in the county adjusted quickly to the idea that the shelter was no longer a place to casually drop off a pet. 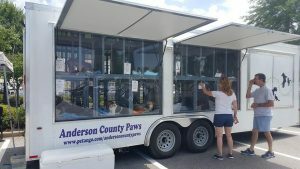 The concept of managed admission is sometimes criticized on the ground that it will result in increased pet abandonment, but the experience in Anderson County shows that managed admission has the opposite effect. When officials expect people to take responsibility for their animals, people will live up to that responsibility. No Kill advocate Craig Brestrup argued in his 1997 book Disposable Animals that when shelters take in animals on demand with no questions asked it actually encourages people to regard their pets as having little value. By contrast, when shelters ask people to help them help their pet, most are happy to make an appointment. The managed admission program allows shelter personnel to communicate with an owner before a pet is surrendered, and that can help the shelter keep pets in their homes when possible. If someone wants to surrender an animal because it needs veterinary treatment that the owner cannot afford, or if there is a behavior problem, the shelter can often help the owner fix the problem and head off surrender. A local non-profit called Freedom Fences can work with people to get their dogs off chains. One part of Anderson County’s managed admission program is to ask people who want to surrender litters of puppies and kittens to keep them and care for them until they are old enough to be adopted. Sanders reports that most people readily agree to this, and that it has been a “complete game changer” for the shelter. The shelter provides supplies and support for the caregivers. This program not only reduces length of stay and demands on shelter staff, it also keeps puppies and kittens out of the shelter during the time they are most vulnerable to infections. Pet retention, sterilizing animals before adoption, treating sick and injured animals, and providing supplies for fosters are all programs that cost money. The shelter has not received additional funds yet, but Sanders is hoping to see an increase in its budget next year. She has been able to make ends meet so far, due to a decrease in the number of animals in the shelter and reduced length of stay. An important change that occurred around the time Sanders became director was moving the shelter to the Public Works division under the management of Holt Hopkins. Animal shelters are a unique government service, and sometimes the method of management of a particular county department might not mesh well with the needs of the shelter. Directors who want to make big changes in shelter operations need to have authority to act on their own, and to act on short notice. A change from one department to another can have a good effect if it allows the director more flexibility in operations. Another important change in operations at the shelter has been an emphasis on working with rescues. Locally, the shelter works with Day Before the Rainbow, Lucky Pup Rescue, Low Country Lab Rescue, and Carolina Poodle Rescue, among others. Two large organizations from the northeast, All Breed Rescue and St. Hubert’s Animal Welfare Center, send vans to the shelter once or twice a month to pick up dogs and cats for transport. South Carolina has an ambitious statewide No Kill effort called No Kill South Carolina (NKSC) that is spearheaded by the Charleston Animal Society. The operating plan for the effort is to establish several “hubs” in the state that can offer advice and resources to nearby shelters. NKSC wants every shelter animal to be no more than one hour away from help. Anderson County P.A.W.S. joined NKSC in December 2016 and very quickly became a provider of help. The shelter has been called in to assist Abbeyville County, and took in animals from a hoarding case. Sanders projects confidence and competence, but she admitted that even she was surprised by how quickly the shelter improved. She credits the successful turnaround to a great staff, the pride and interest that the community took in the shelter, and support from the county council. As she says, it was a whole group of people coming together to do the right thing for the animals. Sanders believes that Anderson County P.A.W.S. is proof that any community can become No Kill if they have the commitment to do it. Kim Sanders is an angel to the animals. I am so happy that Anderson County authorities were willing to do what was necessary, in conjunction with Dr. Sanders efforts, to truly improve the lives of so many animals. And I’m sure it is going a long way in educating people how to properly care for all animals. What a great success! Now if MORE shelters would adopt this model . . . I was so impressed with Dr. Sanders Zontz when I toured last week. The staff who showed me around were exceptionally friendly and professional. THe facility was operating so smoothly. I can only say that I would love to see this remarkable progress continue, and if there is ANYTHING I can do personally I will be available for volunteering-just contact me! Please contact SonJa at acpaws.volunteering@gmail.com. The shelter could really use a core group of volunteers to help coordinate new volunteers, groups of volunteers, community outreach efforts and adoption promotion. All ages are welcome.